In order to protect the public interest and preserve roadway safety, the Commonwealth of Virginia prohibits any person from driving under the influence (DUI) of alcohol or drugs. Virginia casts a wide net with respect to DUI, making it illegal to operate any motor vehicle, engine, or train while impaired and incapable of driving safely. Though in most cases, DUI offenses fall into three main categories. Code of Virginia Section 18.2-266 establishes the definition of driving under the influence of alcohol. There are two variations of this offense under Virginia law. On one level, it is unlawful to drive cars or operate other vehicles while under the influence of alcohol. This is a general standard. If a person consumes enough alcohol to impair their ability to drive safely, then it qualifies as a DUI under Section 18.2-266. On the other level, it is unlawful to drive cars or operate other vehicles with certain blood-alcohol concentration (BAC) levels. Specifically, any driver who registers a BAC of 0.08 or more is guilty of a DUI in Virginia. Additionally, drivers who register heightened BAC levels can be subject to more severe criminal penalties. Section 18.2-266 also indicates the standards for driving under the influence of any narcotic drug or similar intoxicant. As with alcohol-specific DUIs, there are two variations of this offense under Virginia law. On one hand, it is unlawful to drive cars or operate other vehicles while under the influence of single or multiple drugs. As with alcohol, this is a general standard. If a driver cannot operate their vehicle safely due to drug consumption, they are impaired and subject to criminal penalties for DUI. 1 milligrams or more of methamphetamine per liter of blood. If a driver registers a blood test with any of the drug levels listed above, then that driver is guilty of DUI under Virginia law. Section 18.2-266 also prohibits any person from driving under the influence of a combination of alcohol and drugs. If a person loses the ability to drive safely due to alcohol and drug consumption, it qualifies as a DUI under Section 18.2-266. And the driver will be subject to applicable criminal penalties under state law. If you are facing criminal charges for a DUI offense in Virginia, it is wise to reach out to an experienced criminal defense attorney. 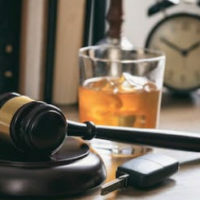 The attorneys at Simms Showers LLP, servicing Leesburg, Winchester, Fairfax, and Manassas, have assisted many clients across Virginia with criminal charges, including various DUI offenses. If you need legal help with criminal defense, contact us today for a free initial consultation.